A YouTube playlist from the makers of Magnetic Fields documentary Strange Powers and Mr Stephin Merritt himself. Thanks to Travis Elborough for arranging this piece. 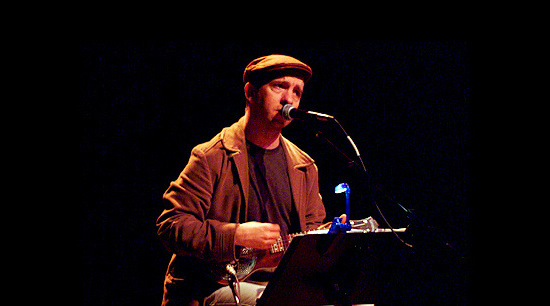 The result of over 10 years and 300 hours of filming, Strange Powers, Gail O'Hara and Kerthy Fix’s intimate documentary of songwriter Stephin Merritt and his band the Magnetic Fields, was an immediate success from the moment it debuted at SXSW in 2010 and is now available on DVD and to download. Exploring Merritt’s songwriting and recording process, and focusing on his relationships with his bandmates and longtime manager Claudia Gonson, it is a unique portrait of the Cole Porter of our age. Gail O’Hara, photographer, founder of the legendary Chickfactor fanzine celebrated in song by Belle and Sebastian and co-director of Strange Powers, Claudia and Stephin Merritt himself provide their own selection of their favourite music documentaries here. “He was trouble and he was beautiful” is a line out of Letʼs Get Lost starring Chet Baker, in which a gaggle of ex-wives and offspring who never really knew him are quoted as saying he was a toothless, unclean, insincere con man who really could not be counted on. Yes, he fancied a lovely cocktail of heroin and cocaine and was such a disappointment to his mum she made him join the army (where, lucky for jazz fans, he was soon found to be “unadaptable to military life”). What kind of moral standards is this insanely talented crooner and trumpet player supposed to have? Does his character really matter when he is grinding out some of the most sublime sun- kissed romantic versions of some of the best standards ever written? Itʼs a crime against ﬁlm that this 1988 Bruce Weber doc is not available on DVD in the U.S. You should probably avoid meeting your idols and even seeing documentaries about them. Donʼt plan on dating rock stars, nor having them as children. You will be disappointed, if all the best docs are anything to go by. Strange Powers: Stephin Merritt and the Magnetic Fields, which I co-directed and co-produced with Kerthy Fix, was far more intrusive and revealing than these musicians probably ever wanted, considering how private they are, but the ﬁlm sometimes falls short for people expecting it to unlock the secret of Merrittʼs soul. Sorry, heʼs not that kind of star. There is something to be said for retaining a bit of mystique in this age of over-sharing and excessive posting. Along with the lists of top music documentaries chosen by Merritt and TMF pianist-singer- manager Claudia Gonson, here are a few that I adore. Themes running through many of these ﬁlms are deadbeat dads, bad boyfriends, half-baked husbands, bitter ex-wives, neglected children, Grey Gardens-worthy dysfunction, substance abuse, mental illness, giant egos, oh you get the idea. A number of these boxes can easily be ticked off in Margaret Brownʼs 2004 ﬁlm Be Here to Love Me: A Film About Townes Van Zandt, which is essential viewing for anyone who likes music. Plus, he is no longer with us so there is no other place to see him. The Texan troubadour walks around with a shotgun in one hand and a bottle of whiskey in the other and competes with Guy Clark and itʼs tragic but unmissable. Also in the bad dad / party monster category is Who Is Harry Nilsson (And Why Is Everybody Talkinʼ About Him? ), a rough-looking portrait of the American singer-songwriter responsible singing and/or writing some massive hits. Released in 2010, the ﬁlm was clearly not ﬁlmed recently and rolls out a hilarious cast of talking heads including Van Dyke Parks, Eric Idle and Dustin Hoffman. Like so many hugely successful artists, Nilsson crashed and burned and died fairly young. One smart and delicate portrait of an emotionally troubled songwriter is The Devil and Daniel Johnston, directed by Jeff Feuerzeig (also behind Half Japanese: The Band That Would Be King). Getting the (often uptight, religious) parents on ﬁlm is the key to understanding some of these complex personalities, and that is definitely the case with Johnston, whose Story of An Artist is one of the best songs ever. Visually stimulating and entertaining, this doc satisfies even those who are not fans (the true test). Also compelling is the Roky Erickson doc, Youʼre Gonna Miss Me, though itʼs so intimate at times it makes viewers squirm. Exploitative? Perhaps. Could it have used more music? Yes. But still fairly amazing to watch. Even Bob Dylanʼs biggest haters would have to admit he seems kind of cool in Donʼt Look Back, but you should also check out The Ballad of Ramblinʼ Jackm Aiyana Elliottʼs ﬁlm about her father the folksinger Ramblinʼ Jack Elliott, a master of the very American art of reinvention. Jack was a Woody Guthrie protégé who claims that Dylan stole a trick or two off him. Like Chet and Townes, he is unlikely to win any Best Dad contests but thereʼs a lot of scintillating stuff here. Lastly, I also advocate Saint Etienneʼs love letter to London, Finisterre, in which Paul Kellyʼs cinematography is perfectly married to their soundtrack (and the band is presented as a mere part of that ﬁne city). Let me see... there are a few great music docs Iʼve seen, but of course now I canʼt remember a thing. I really liked the Ramones doc, End of the Century. It broke my heart that the two core members, who didn't speak for 20 years, died within months of one another. And of course Anvil: The Story Of Anvil. I wasnʼt as into the Metallica doc Some Kind Of Monster, probably because it was so over-hyped to me before I saw it, and anyway I prefer the dysfunctionality of the Ramones to the hyper-functionality of Metallica.